Summary: Hope Potter and her boyfriend, take her sister shopping for a special treat, they wouldn’t prank her as well, would they? An outtake from Imogen’s “A Pensieve Affair.” This can be considered an alternative version of this event, Mr Pump’s Story, “The Thorn in the Sand.” also covers the shopping trip, and is well worth the read. Summary: What really happened with Ron and Hermione in the owlery. Fits in with Chapter 6 of Carpe Diem. Slytherin House. Takes place during chapters 2-5 of Nil Desperandum. Summary: What happens when the characters don't behave in exactly the way the author intended. Summary: (takes place in 'Home is Where the Heart is')) Hope won't stop crying, so what's a father to do? Featuring yodeling Harry! Summary: (from Home is Where the Heart Is) Harry finds Ginny’s birth chart, with some interesting results! Summary: (from Chapter 16 of Alpha and Omega) Ginny and Hermione have a conversation. Summary: Remus Lupin tries to come to terms with the deaths of his friends and Sirius' betrayal. 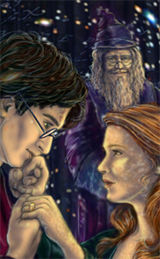 Summary: (from Home is Where the Heart Is) Harry and Ginny’s second Valentine’s Day as a married couple. Harry’s determined not to make the same mistake twice. Summary: The summer after 'Carpe Diem'. 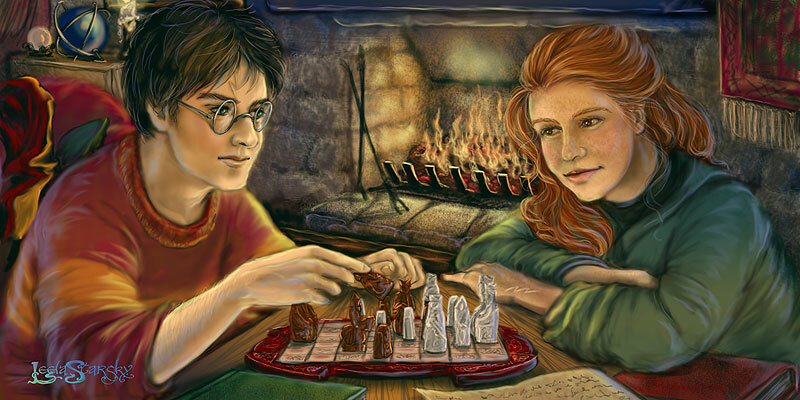 Harry and Ginny spend some time alone and reflect on their relationship. Summary: What happens when you put three such unconnected things together? It's bound to cause trouble! ~ Harry and Ginny try to find some time alone at Hogwarts. Summary: (from Nil Desperandum) Trying to get out of detention quickly is never a good plan, especially when your name's Hope Potter. This is trouble like she's never been in trouble before! Summary: Written after OotP. How the prophecy could be fulfilled. Not part of the CD universe - just a random bunny! Summary: A missing scene from Pensieve Affair bewteen Cora and Matthew. Summary: A Ron and Hermione aside to 'Alpha and Omega' Chapter 2.